Electrocution is the term for what happens when the human body sustains a powerful electrical shock. Depending on the severity of the electric shock accident, the person may or may not survive. Rosenfeld Injury Lawyers LLC represents people who have been injured in Illinois electrocution accidents and the families of people who have died as a result of electrical accidents. Rosenfeld Injury Lawyers is committed to securing the most favorable compensation for people injured in electrical accidents in Chicago or their survivors. If you have been affected by an electrical injury, talk to a Chicago electrocution accident attorney today for a free review of your case: Our firm is committed to your success and we work on a contingency fee basis, so you'll pay nothing until we are successful for you. 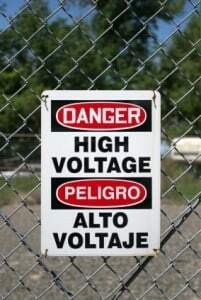 Accidental electrocution usually occurs when a person is exposed to a high-voltage electrical source. It may be a power line or high-powered equipment that is not properly grounded. Several hundred accidental electrocution deaths are reported each year in the U.S. Among occupations, construction workers are at especially high risk for electrocution accidents. For instance, construction workers doing excavation or trenching work are at risk for electrical shock if power lines are not properly marked. According to Electrical Safety Foundation International, about 54% of all fatal electrical injuries occurred in the construction industry in 2017, accounting for 136 fatalities. Electrocutions were the third leading cause of worker deaths in the construction industry, after falls and being struck by falling objects. Electrocution was the sixth most common cause of workplace fatality across all industries. There were 2,210 nonfatal electrical injuries in 2017, an increase of 35% over 2016. Electric shocks accounted for 1,330 nonfatal injuries, while burns accounted for 900. For a skilled laborer injured by an electrical accident at work, the injury may prevent them from returning to their job. Depending on the circumstances, the worker may be entitled to pursue a workers' compensation case and/or a third-party lawsuit against the other contractors involved in the work. Electrical accidents can also take place in the home as a result of defective household products or faulty wiring. According to the U.S. Consumer Product Safety Commission, there were an average of about 48 electrocution fatalities per year associated with consumer products from 2010 through 2013. The most common product category involved in electrocutions were large appliances, followed by small appliances and ladders. If a person lives beyond 72 hours after a severe electrical shock, the odds are good they will survive. However, many survivors will have considerable injuries that will need to heal and be treated, sometimes for the rest of their lives. When the human body is exposed to an electrical current, the current finds a pathway through the body, usually entering at the source and finding an exit to either a grounded surface or another electrical pathway. The extent of the damage depends on the voltage, the amount of time the current passes through the body, and the pathway it chooses. Electrical accidents can cause burns to bodily tissue as the current enters and exits the body, as well as possible internal burns. Cardiovascular system—Asystole (referred to as a "flat line" or lack of heartbeat) and ventricular fibrillation (useless fluttering of the heart) are common causes of death in electrocution cases. If the heart is not revived in a timely manner, the shock can be fatal. Central nervous system—When electricity passes through the body, it can cause damage to the brain and nervous system. If the current goes through the brain, it can affect many different functions and even cause respiratory failure. There can also be spinal cord injuries, either from the current itself or from the victim falling or being thrown by the current. Musculoskeletal system—Large amounts of damage to the muscles and organs can stem from the electrical shock and injuries from falling or being thrown. In an accidental electrocution, the victim will most likely need resuscitation if their heart has stopped or they have respiratory failure. The paramount concern is first to make sure they are breathing and their heartbeat is stable. Afterward, the patient will need to be treated for several possible injuries. Burns— Almost all survivors of electrical accidents will have external and internal burns. These may require surgery to remove dead or damaged tissue, such as skin grafts, and may necessitate treatment in a hospital burn unit. Infection is the most common cause of death in people hospitalized after an electrical injury. Cardiovascular problems— There can be permanent damage to the heart, which may require surgery or medical attention for the rest of the victim’s life. Neurological issues— Many issues can be caused by an electrical shock to the brain and nervous system, which may lead to the need for treatment for amnesia, seizures, nerve damage, and other neurological problems. Muscle and bones— Broken bones and muscle damage may require treatment, surgery, and rehabilitation. A Chicago electrocution accident attorney can help make sure you are fairly compensated for your medical costs if you are the victim of an electrical accident. Contact Rosenfeld Injury Lawyers now for a free consultation. What Kind of Compensation can I Receive for my Electrocution Injuries? If you’ve suffered electrocution injuries because of another party’s negligence, you can recover compensation for your medical expenses, lost income, suffering, and incapacity that results. Medical bills: The responsible party must pay all of your medical bills including, but not limited to, surgeries, doctors’ charges, medications, medical equipment and long-term rehabilitative care. Loss of income: If your ability to work has been partially or completely diminished because of your injuries, then defendants must pay you an amount equal to what you would be earning if you could work. Pain and suffering: Like many other accidents, those that leave you with electrocution injuries often also impart significant mental anguish and general pain and suffering. This is an intangible kind of harm but no less real to victims. Disfigurement and disability: If the electrocution has resulted in burns, one of the more immediate and visibly apparent consequences is the scarring, which fundamentally changes a person’s appearance and damages their self-esteem and self-image as much as it does their skin. For this injury, and for any disability that accompanies it, defendants must pay and you should recover. How long it will take you to win your case and recover depends greatly on the kinds of damages you intend to pursue. These can draw the case out because they require you to obtain witnesses, prep for trial and make your case. However, agreeing to settle the lawsuit can reduce the duration of a dispute by as much as a year. Also, under Illinois comparative fault rules, your financial recovery may be reduced if you are found to be partially at fault for the accident. Rosenfeld Injury Lawyers LLC vigorously works to ensure that accident victims receive the greatest compensation possible under the law. Call our offices today to see what you can recover from an electrocution injury lawsuit. How Long do I Have to File an Illinois Electrical Injury Lawsuit? Illinois gives victims of personal injury two years to file their claims. (See 735 ILCS 5/13-202) This means that if you sustain a serious electrical injury through the fault of another party, you have only two years to decide to sue. The two-year window does not begin until you realize you have a case, but it still takes a lot of work to get a suit ready regardless of when the clock starts. Therefore, it is critically important that you consult an attorney as soon as possible after an accident so that he or she can protect your future recovery should you decide to file an action. What Compensation can I Receive if my Loved one Dies From an Electrocution Injury? If you have lost a close family member to an electrical injury, especially if that person was a source of financial support who was killed on the job, you may be eligible to bring a wrongful death action against the responsible party or parties. In Illinois, a wrongful death lawsuit must be filed within the statute of limitations for the underlying case, or within one year of the date of the deceased person's death, whichever is later. (See 735 ILCS 5/13-209) This means that for a death resulting from an electrocution injury, the suit must be filed within two years of the accident. Under the Illinois Wrongful Death Act, the jury may award damages that are deemed to be fair and just compensation for your loved one’s death, "including damages for grief, sorrow, and mental suffering, to the surviving spouse and next of kin of such deceased person" (740 ILCS 180/2). Medical expenses, including the cost of your loved one’s medical and emergency care prior to their passing. Funeral expenses, including the cost of providing funeral and burial services to lay your loved one to rest. Pain and suffering, including compensation for the deceased’s pain and suffering prior to their death. Loss of consortium, which includes the emotional anguish that accompanies the loss of a valued family member and provider. Lost income, such as the value of the deceased’s financial contribution to the family, including the loss of benefits and wages. Punitive damages, which are awarded to punish the party responsible for your loved one’s passing. If the negligent act or behavior is considered especially reckless or contemptible, punitive damages may be applied as a means of providing your family with justice, while making an example of the negligent party to discourage similar behavior in the future. Because time is limited, you should consult an experienced Illinois wrongful death attorney as soon as possible. What are Some Sample Illinois Electrocution Accident Settlements and Verdicts? A 57-year-old union pipefitter was doing preventative maintenance on an HVAC system. He suffered severe electrical burns, nerve damage to his arm, a ruptured bicep tendon, and PTSD after he opened the door of the access panel and a high voltage wire fell on his hand. Plaintiff secured a waiver of the workers' compensation lien and recovered from various defendants. A 31-year-old painter was killed when the aerial lift bucket he was riding in to sandblast the underside of the U.S. Route 20 Bridge at the Fox River in Elgin came into contact with a ComEd power line, electrocuting both him and a coworker. He was survived by a wife and two minor children. His estate accused ComEd of failing to either de-energize the power lines or sleeve them to make them safe as requested by the deceased’s employer, Eagle Painting & Maintenance. Hertz Equipment Rental was also sued for allegedly failing to familiarize the lift users with its safety devices. ComEd paid $3.2 million, Hertz Equipment contributed $25,000. Eagle Painting, the man’s employer, waived its $243,000 workers’ comp lien. Plaintiffs, 25 and 22 years old, were electrocuted when they jumped over a pile of snow and landed next to a water puddle near a metal utility pole close to their parked car in Rockford. One plaintiff suffered injuries to his chest, heart, legs, toes, abdomen, and head, and the other suffered injuries to his left hand and fingers, legs, back, and feet. Paramedics noticed the puddle was smoking. ComEd paid $55,000 to each plaintiff. A 19-year-old male was fatally electrocuted by downed power lines while cleaning up storm debris in his parents’ back yard. The family said they had seen ComEd workers in the area and assumed the power had been turned off. Commonwealth Edison paid the settlement. 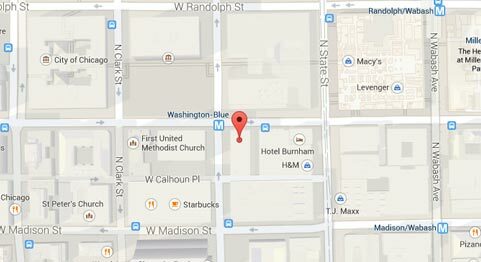 A 57-year-old electrician was instructed to clean a switchgear cabinet at a Chicago Transit Authority substation. Believing the electrical equipment had been de-energized, he raised a protective shield, exposing himself to 12,600 volts of electricity and causing an explosion. He suffered burns over one-third of his body and died three days later, survived by his wife and four adult children. The worker’s estate contended that defendant, Target Electric Inc., was at fault for sending him into the cabinet without informing him that a portion of the equipment was energized and with confusing instructions. The defense asserted the deceased was an experienced electrician having worked in the trade for 38 years, as such he should assume equipment is live; he did not verify the presence of energy; he ignored a warning sign on the protective shield; and he lifted the shield thereby exposing himself to the live equipment and causing the explosion. The verdict of $6.3 million for medical costs, survivor anguish, loss of support and consortium was reduced by 35 percent which was attributed to the fault of the deceased. What Type of Medical Treatment is Commonly Used for Electric Shock Injuries? High-voltage shocks (500 volts or more) or shocks that result in burns require treatment in a hospital emergency room. The victim should first be safely separated from the electrical source and CPR performed if necessary. Electric shock victims are treated as trauma patients. Once the patient’s respiration and cardiac functions are stabilized and intravenous fluids are administered, emergency physicians will examine the patient for signs of organ damage or other internal injury, particularly to the heart or brain. Tests generally include taking blood samples, ECG’s, x-rays, or CT/MRI scans. Spinal immobilization is often performed, and a tetanus shot may be given. Treatment for burns will depend on the severity of the burn. Minor burns can be treated with ointment and dressings, while more serious burns might require skin grafting surgery or surgery to repair damaged muscle or even, in extreme cases, limb amputation. Because a seemingly minor electrical burn on the skin’s surface can mask massive internal tissue damage, the patient is monitored for signs of swelling or impaired circulation. Doctors may perform a procedure called fasciotomy, or removal of tissue, to relieve swelling and pressure in a bodily area. If the electric shock affects a person’s eyes, they will need to be examined by an ophthalmologist for possible development of cataracts. An electrical shock injury may cause immediate and permanent injury to an individual. In addition to the medical expenses related to the injury, the injured may be unable to return to their job, causing long-term financial harm. As lawyers for people who have suffered an electrical injury, our job is to help you provide for your immediate needs and the future needs of your family. The Chicago electrocution accident attorneys at Rosenfeld Injury Lawyers have helped other clients with electrocution cases, and we would be honored to do the same for you. We offer free consultations, and we never charge a fee without a recovery for you. Call our offices now to get started.